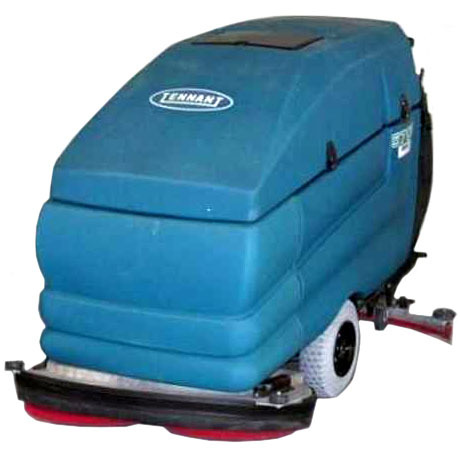 The TENNANT 5700 SERIES is a battery powered auto scrubber. This unit has a drive motor for easy operation that reduces operator fatigue. It's built with thick polyethylene construction and rugged, shock absorbing frame that is tough enough for the harshest environments. The TENNANT 5700 SERIES features large recovery and solution tanks to optimize production time by decreasing dumping and filling.